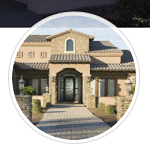 How Much Does That Tucson Home Really Cost? You've decided to buy a Tucson home. Congratulations! Why pay someone else's mortgage when you can be paying your own? Maybe you needed some assistance with your down payment. But that's only one part of the total money you'll need to buy a home. Exactly how much does that Tucson home really cost? Here are some hidden expenses you might not have thought about. In addition to your down payment, you're going to need money to pay the closing costs on your Tucson home. These include loan origination fees, title fees, recording fees, taxes, insurance, and prepaid interest among other things. The total for these closing costs typically run between 3% and 5% of your home's purchase price. So, if you pay $200,000 for your home, expect to pay $6000-$10,000 in closing costs alone. Your mortgage company may also require that an appraisal be performed to assess the value of the home you wish to purchase. Depending on the size of the house, you could be paying anywhere from $400 to $1000 for an appraisal. You might be able to negotiate that the seller pays some or all of the closing costs. But, that doesn't always happen. It's best to have this money saved up just in case. I always recommend that a buyer get a home inspection done right away. This might alert you to major, costly issues in the home. However, these professionals only perform a cursory inspection. If they see that there could be an issue with pests, the roof or the plumbing, you might need to call in a specialist to perform a more thorough inspection of the potential problem areas. Depending on how many different inspections you end up with, you could spend anywhere from a few hundred to a few thousand dollars. Keep in mind, though, that this money could save you tens of thousands in the long run. So, this is an investment worth making. Another hidden cost of buying a Tucson home involves HOA fees. These vary depending on the association your home is located in. It's important to find out 1) if your home is located in an HOA and 2) how much that monthly fee will be. Also, ask about what it costs to set you up with the HOA once you become a new homeowner. Finally, we come to the miscellaneous stuff. Moving costs, regular ongoing maintenance, any repairs needed when you move in, utilities, etc. 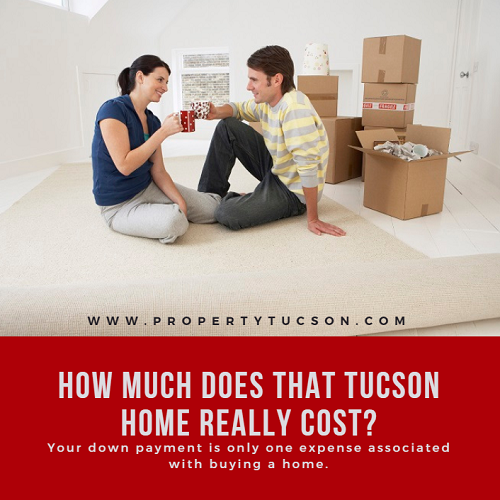 We don't normally associate these as the regular cost of purchasing a Tucson home. But they are very real. Even if you move everything yourself, there's the cost of renting a truck, gas, and packaging materials. If you've only ever rented before, you're probably used to just calling the landlord when something breaks. No more. One of the joys of homeownership is that you are now responsible for the hassle and expense when something goes wrong. A bigger home means more square footage to cool down in the hot Tucson summers, too. So, it might be a good idea to invest in some energy-efficient upgrades. Don't let these "hidden costs" deter you from your dream of owning a Tucson home. Just make sure you budget wisely. And remember that you still get a tax break by being a homeowner. That helps offset some of these costs over time. When you're ready to look for your dream Tucson home, give me a call. I'd love to show you what's available right now.